The Waterfront Inn bed and breakfast delivers quality, comfort and home from home hospitality at affordable prices, all set in the perfect beachside location. 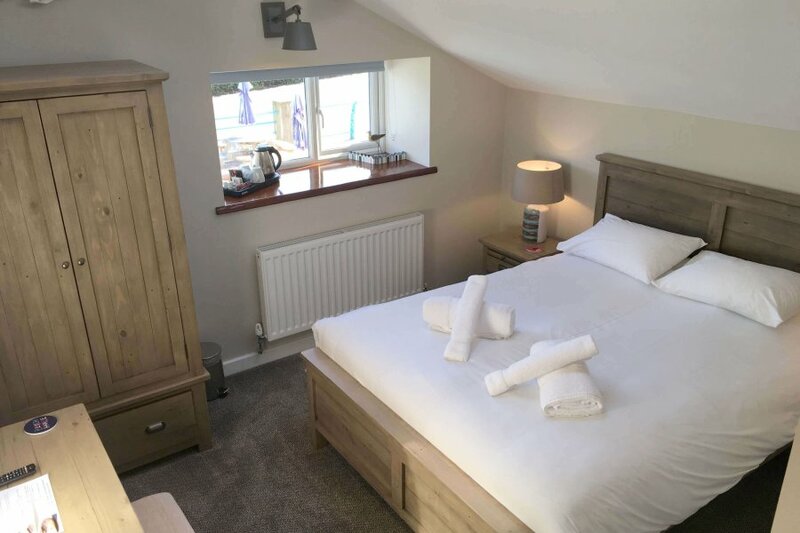 For a great nights sleep, retire to one of our light and airy bedrooms. 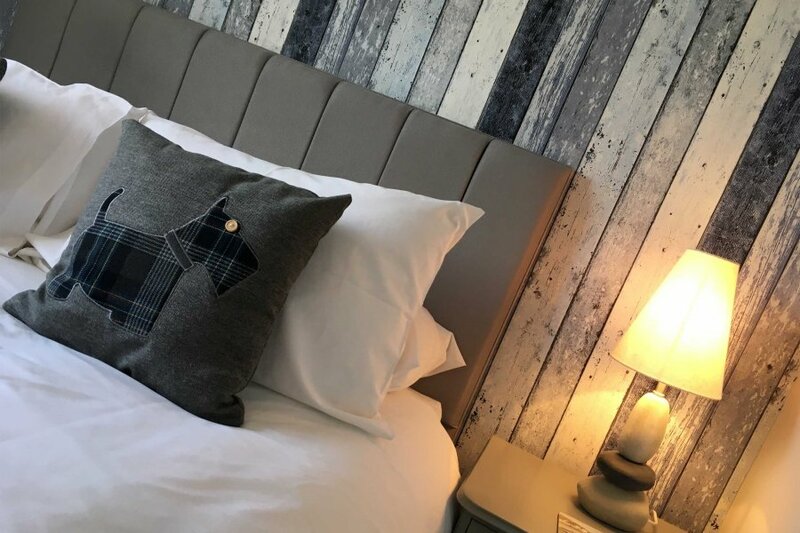 Our B&B accommodation will leave you feeling fully refreshed and allow you to unwind and fully recharge after a relaxing good nights sleep. We offer you a choice of 11 rooms and is ideal for families, business and leisure breaks. The Waterfront Inn also welcomes pet owners, proud to offer dog-friendly Bed and Breakfast accommodation in Westward Ho! North Devon. So if you’re looking for Bed and Breakfast in Westward Ho! The Waterfront Inn really does have all of your needs covered. We also offer extremely competitive rates for 1 night stays, weekend breaks or family holidays. Choice of rooms with adjoining twin rooms or an additional single bed in a large double room. Prices from £112 per night. Stunning coastal themed rooms with ensuite bathroom. Prices from £92 per night. 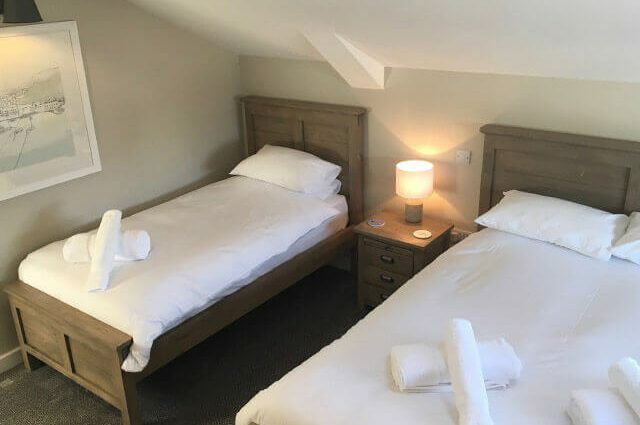 The Waterfront Inn, Westward Ho!’s, with a fantastic coastal location, beside 2 miles of award winning blue flag beach and just minutes away from the Royal North Devon Golf Course, Appledore, Bideford and surrounding areas. Our open-plan bar serves a selection of mouth-watering meals to satisfy the most ravenous of appetites. A wide selection of beer, wine and spirits to enjoy and take in the atmosphere. Watch one of the famous sunsets over Lundy Island or simply enjoy the weekend evening entertainment.